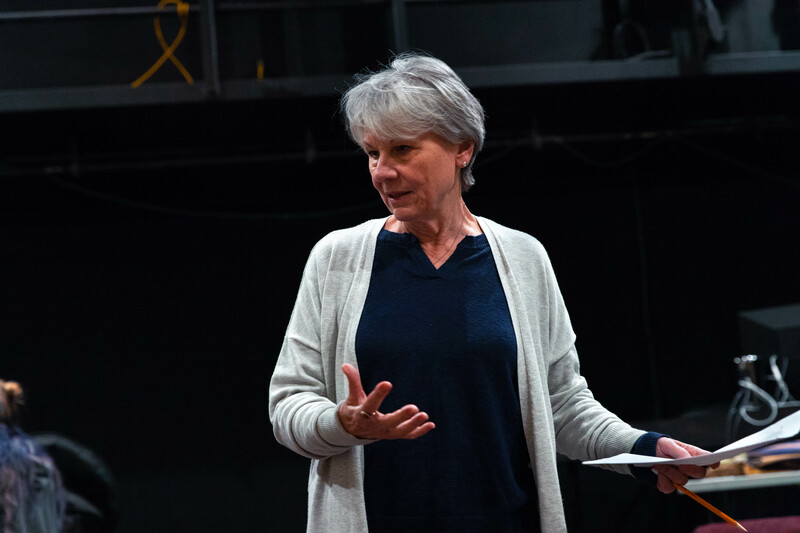 Mary Harney is just one of the few outside faculty members director Marie Glotzbach has recruited for her production of Moises Kaufman’s 33 Variations. 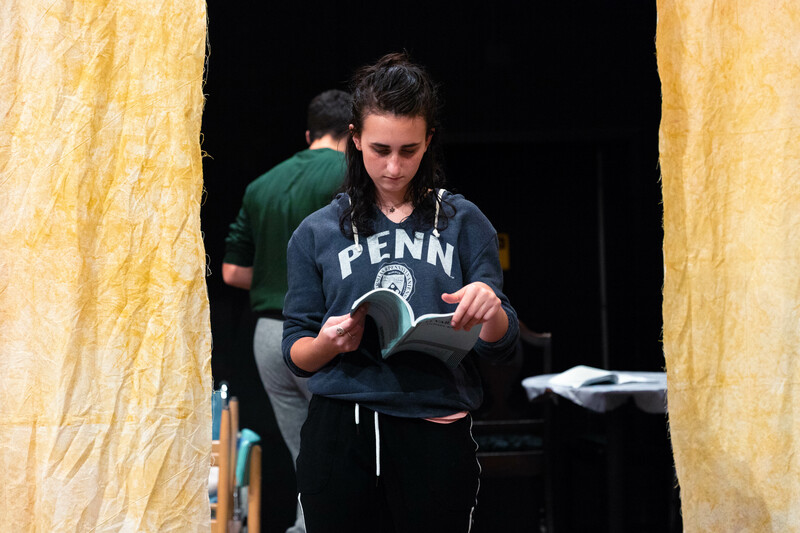 The story of this play centers around Katherine, a contemporary musicologist obsessed with discovering the source of Beethoven’s fascination with Anton Diabelli’s waltz. At first, Beethoven dismissed the waltz as insignificant, only to go on to write 33 variations on Diabelli’s theme. Kaufman’s play straddles two time periods: the early 1820’s and the late 2000’s. While the Muses embody the music embedded in the play, the characters of the play experience the music in a different manner. Sylvia Stoner-Hawkins, vocal instructor and Artist-in-Residence of the Music Department, comments, “I would think of these variations as a soundtrack to the scene, to help set the tempo and the pacing.” Glotzbach recruited three music experts to help with the piece: Pola Baytelman, Genna JaeEun, and Sylvia Stoner-Hawkins. Baytelman, a Distinguished Artist-in Residence here at Skidmore, has extensively trained student pianists Josh Binkhorst ’20 and Sophia Zhang ’21 to play Beethoven’s variations throughout the course of the play; Stoner and JaeEun have worked directly with the cast to prepare pieces of Beethoven’s masses (music written for the choir) which presents a whole new challenge. Genna JaeEun, Skidmore’s new choir director, informs me that “though Beethoven didn’t write much choir music, he was the first composer who put a choir into the symphony [the Ninth Symphony]. Beethoven is the first composer who considered human voices as instruments in the orchestral genre. In that regard, the masses are very hard to sing.” JaeEun has worked heavily on training the cast through Beethoven’s Missa solemnis. 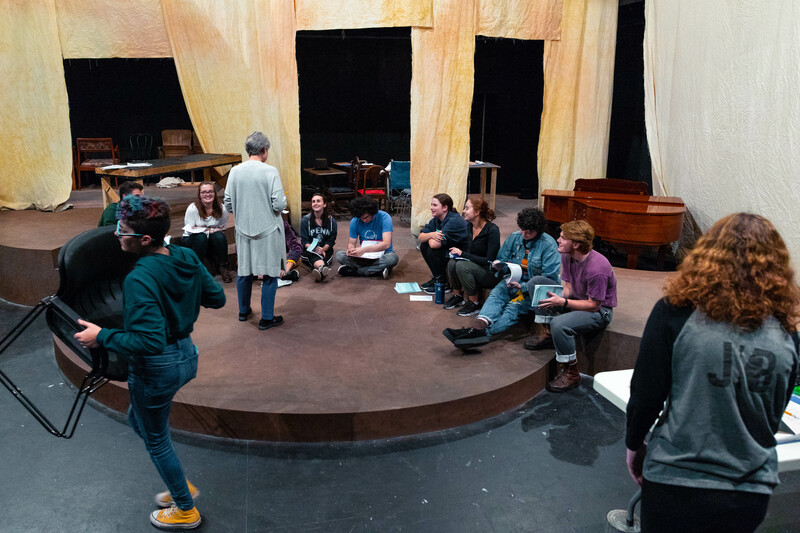 Meanwhile, Sylvia Stoner-Hawkins, an Artist-in-Residence here at Skidmore who specializes in classical voice, has focused on working Beethoven’s Kyrie quartet with members of the cast. Both JaeEun and Stoner have stressed the difficulty of Beethoven’s music and have nevertheless been impressed with the cast’s work and commitment. JaeEun recalls, “I had one or two rehearsals individually with the students to teach them. They picked up their parts quickly after those rehearsals, so we were able to quickly go into an ensemble.” JaeEun emphasizes the added level of difficulty with this piece, since 10 singers do not equate to the structure or sound of a choir. Stoner recalls her surprise even farther back in the process to the callbacks: “I was really impressed by the openness of the students. When I work privately with students, there’s a bit of a hesitancy to sing out, and at callbacks I was blown away that these kids were just going to sing.” Stoner also emphasizes the music’s difficulty level, “especially considering that some of them [the cast] had never sung classical music before.” Working from an open mindset, the cast has overcome many musical challenges. Nina Slowinski ’19 is a staff writer for the Living Newsletter.